Customize your shower below and get an instant price! Choose from these tempered glass options to get the exact look you want for your shower. Create the ultimate shower with beautiful, clear tempered glass panels. Perfect transparency allows in natural light for a spa-like atmosphere. Our proprietary HDglass produces a stunningly clear, flawless shower enclosure. The crystal clarity of HDglass allows the beauty of your tile work and other decor to take center stage. Deeply-toned smokey bronze glass panels are a clean, contemporary choice for décors featuring a warm color palette. 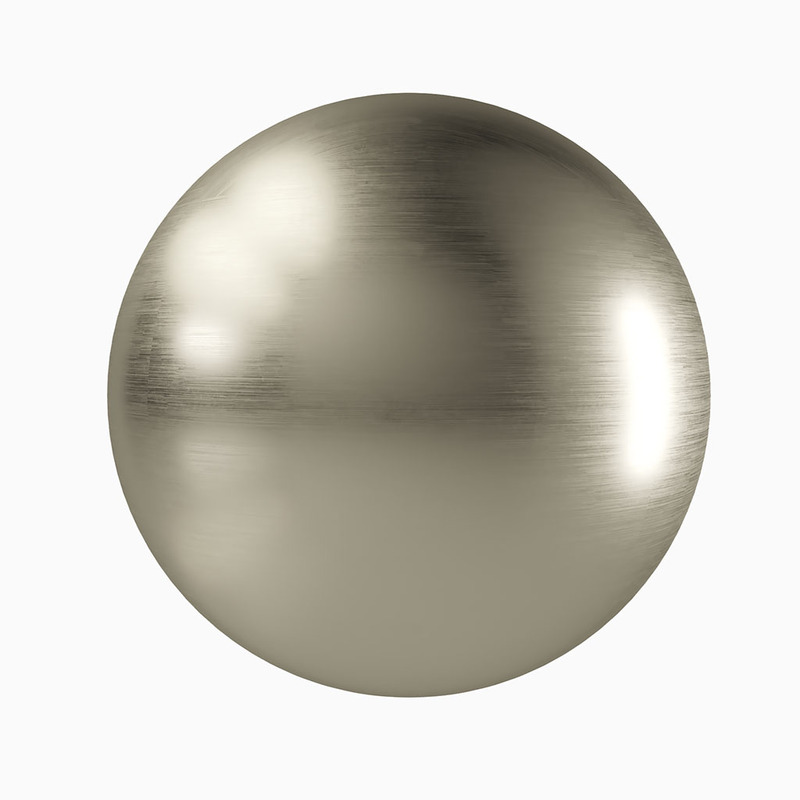 The bronze tone allows moderate natural light pass-through, and moderate privacy. Frosted glass features a true edge-to-edge etched exterior surface for a luxurious, soft white appearance. Authentic sand-blasting creates even and consistent translucency, providing low light diffusion and a high degree of privacy. 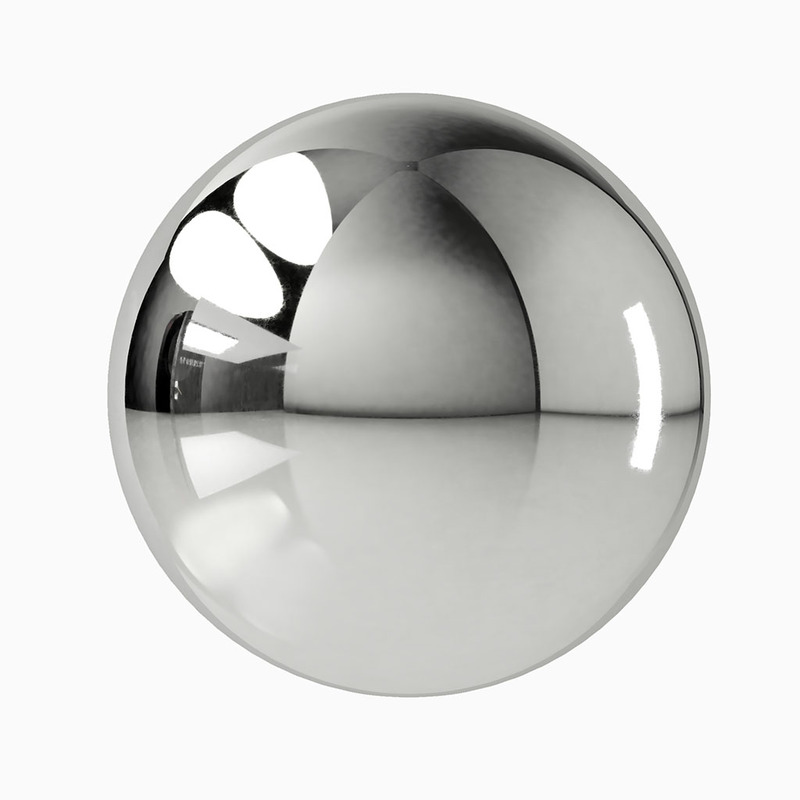 A rain droplet texture is created on the outside surface of the glass, while the inside remains smooth and easy-to-clean. Rain glass creates a pure, organic feeling in your space, allowing natural light to pass through with moderate privacy. Gray glass offers a striking, sophisticated addition for décors featuring a cool color palette. 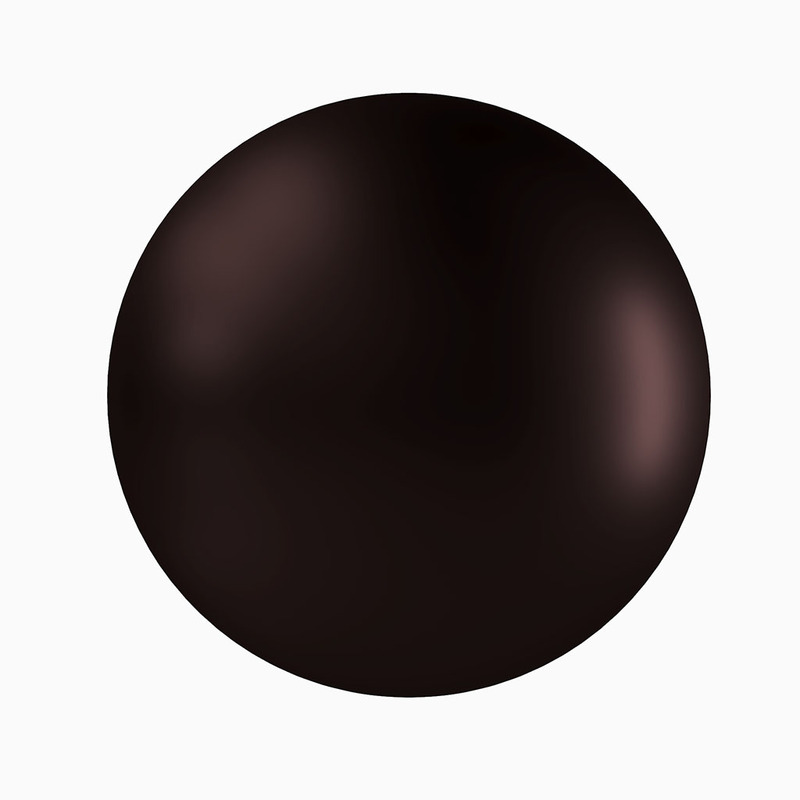 The neutral deep gray tone allows moderate natural light pass-through, and moderate privacy. 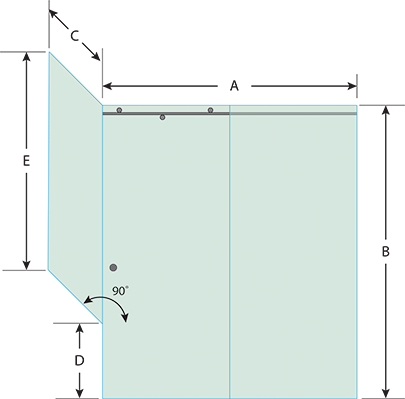 Our tempered shower glass is available in two thicknesses. 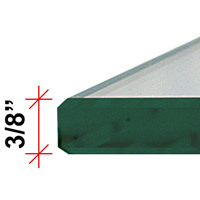 High-quality 3/8” thick glass offers substantial structural integrity for complete frameless shower safety. Dulles Glass recommends ClearShield® surface protection for your shower glass, especially for showers that are used every day. 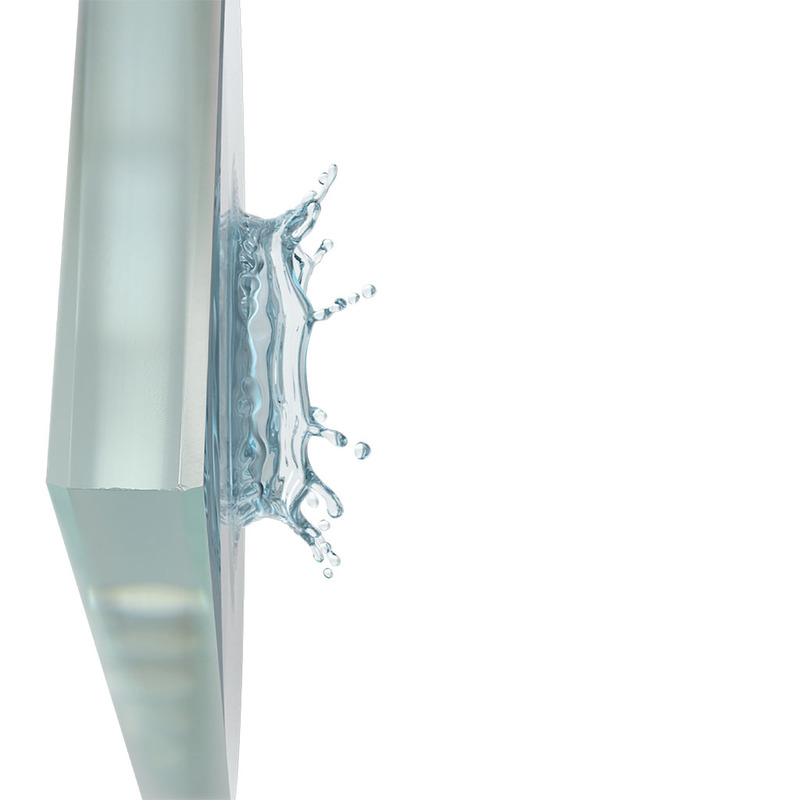 This treatment improves the degree to which the glass sheds water. 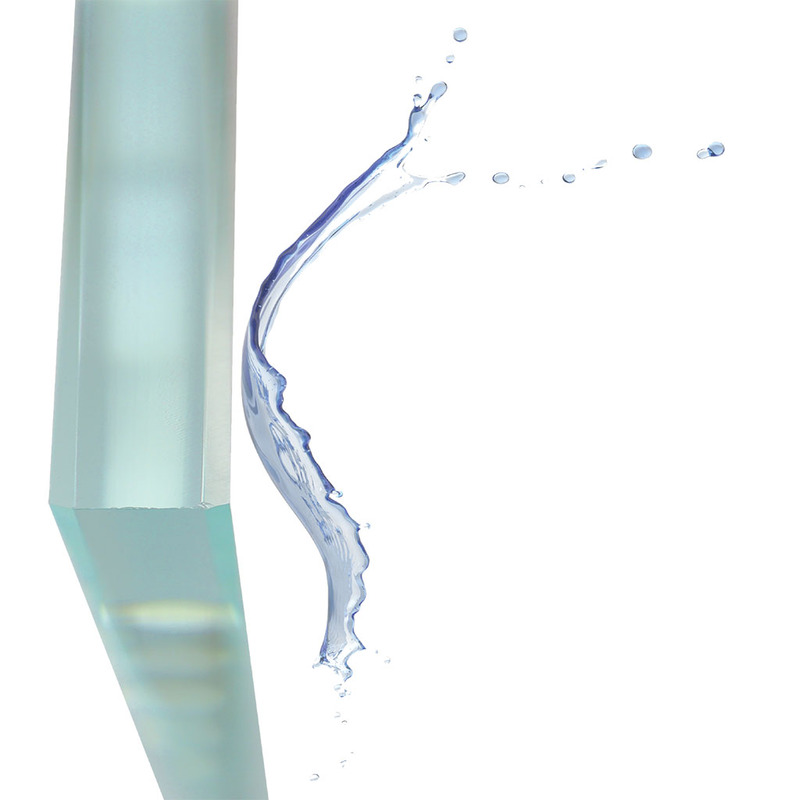 This is the key to reducing water spots and limescale deposits and even bacteria that build up and eventually damage the surface of untreated glass. Your daily-use shower will be much easier to clean and maintain with ClearShield treatment. You might consider forgoing ClearShield application for infrequently used showers - such as in a guest or spare bathroom. With proper maintenance, an infrequently used shower will maintain it’s freshly-installed look for a long, long time, even without ClearShield. But for everyday use, ClearShield is the better option. 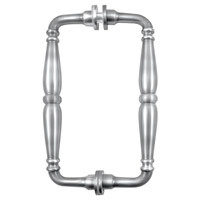 Our premium-quality hardware comes in a range of beautiful finishes, developed to coordinate with your décor. This finish color will be used on your shower hinges, clamps, handles, and any accessories you choose like towel bars or robe hooks. 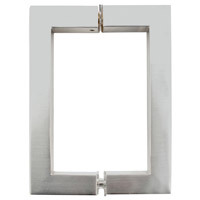 Sturdy, premium-grade metal clamps are used to create a true frameless glass appearance. 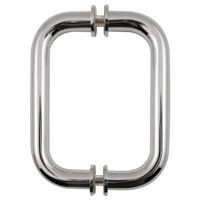 These two-inch solid metal clamps secure the glass shower panels to a floor, wall, or another glass panel, preserving an all-glass, fully-frameless look. 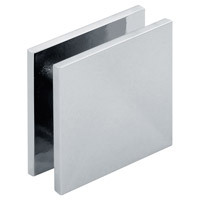 U-Channels are thin, low-profile metal strips that secure your shower glass for support. They present a continuous border between glass panels and adjacent walls, floors, or bathtubs. 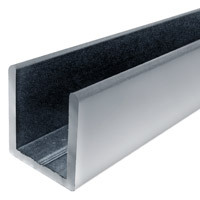 This continuous profile blends with the support structure for a sleek frameless look. 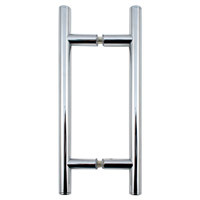 Our handles come in a variety of styles to suit your taste, from traditional to modern and everything in between. 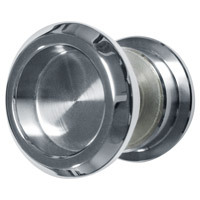 Enter your email address and zip code for an INSTANT discounted shower price! We value your privacy. We will not share your information with any third parties. Provided prices are based on assumptions and may vary based on actual sizes or other restrictions that may apply. We do not currently install showers in your zip code area. But, we're always expanding our service area, and we will be selling showers online for DIY installation soon! 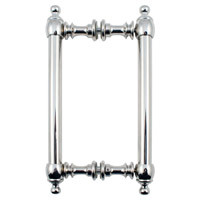 Please stop by Dulles Glass & Mirror for all your online glass and mirror needs. There was a problem saving the design! The tubes may be full.